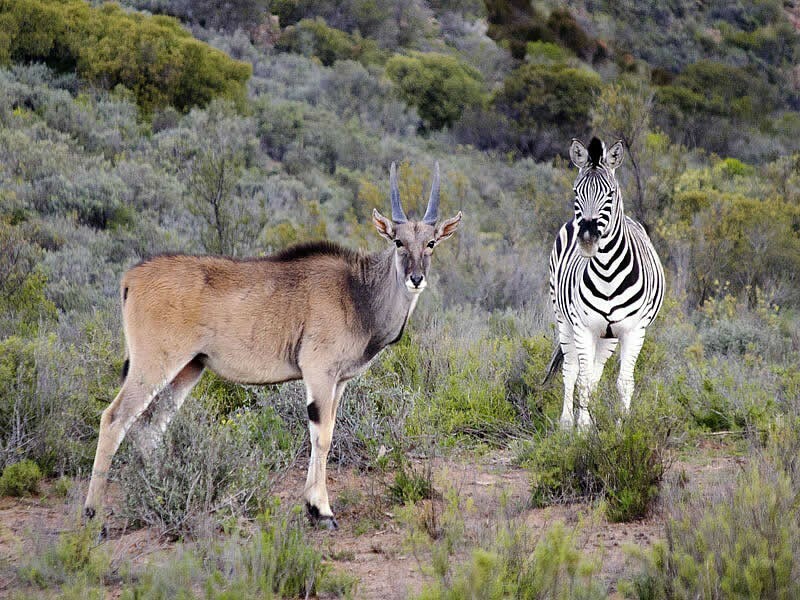 Being a private game farm, Desert Wind boasts a considerable variety of game and wildlife that you can view. 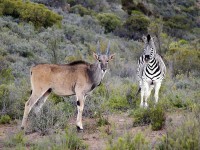 photo landscapeThere are also 4x4 routes for you to explore (in your own 4x4 vehicle not ours),quad bike rides, mountain bike and hiking trails to discover, as well as bush camping opportunities. You will also find it hard to beat the experience of just sitting on our patio and admiring the breathtaking view of the mountains whilst drinking in the majestic silence and peacefulness of the Little Karoo region. 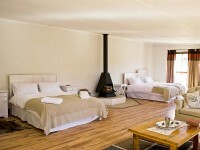 The lodge is generous in size and has beautiful wooden floors, stone work and high ceilings. 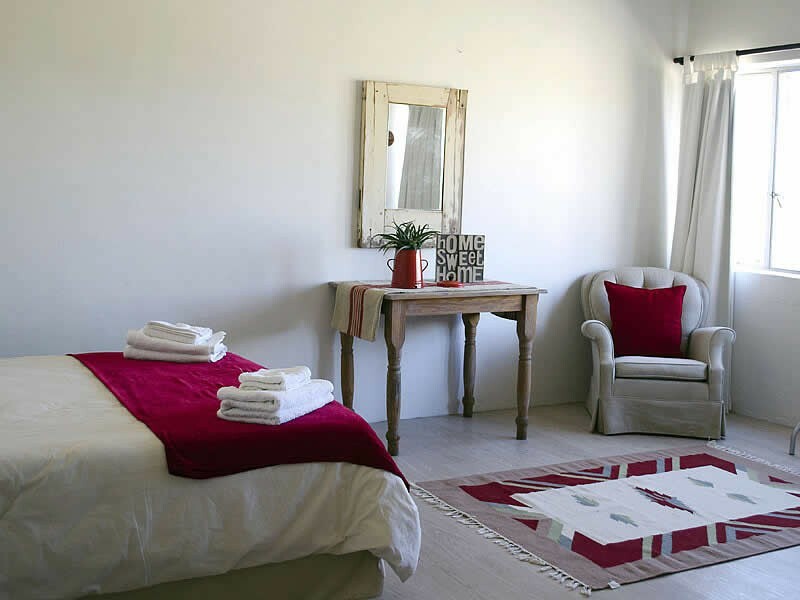 There are 4 spacious bedrooms, which all have laminated floors and en suite bathrooms. 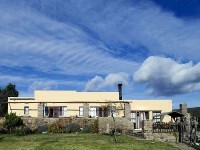 The lounge area has a huge indoor “braai” and there is a private patio that extends along the entire length of the lodge. 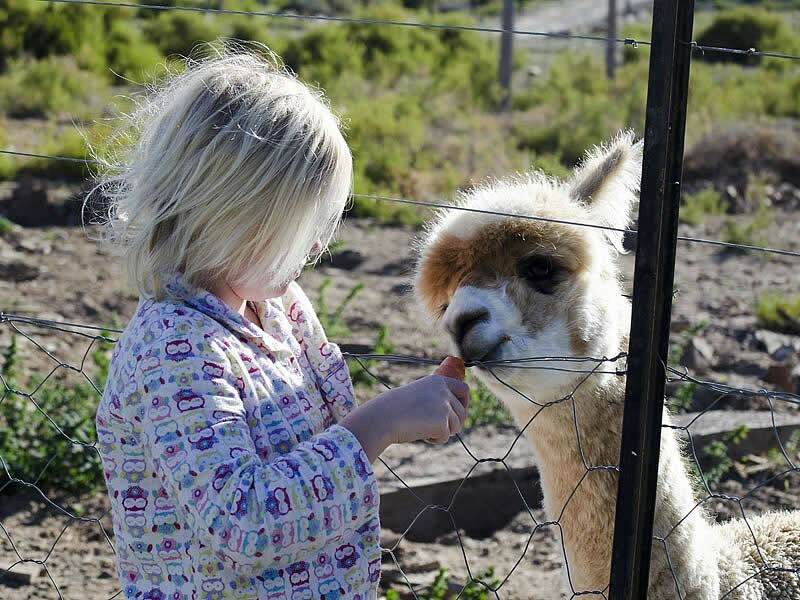 The farm is too remote to be supplied with power from Eskom (the national supplier), but successfully manages to avoid the noise made by generators by making use of gas and solar power instead. 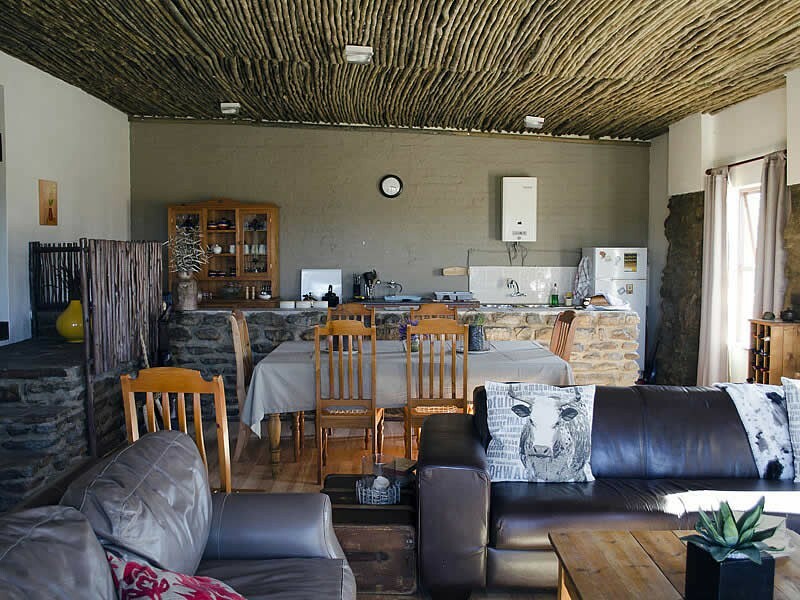 The lodge is fully self-catering and the kitchen is adequately equipped with a fridge, freezer, oven and stove. It is also stocked with plenty of pots, plates and cutlery, so you will only need to bring your own food and drinks along with you. There is an indoor and outdoor braai area with a large open plan kitchen and living area. 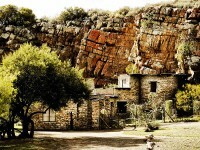 Die "Kliphuis" is a quaint little cottage built out of the river rocks of Desert Wind. The cottage can accommodate 4 people. 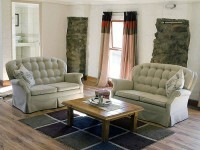 There is one bedroom with a queen size bed and a sleeper couch in the living room. There is an inside and outside braai, a 2 plate gas stove and like all of the other houses on the farm we like being kind to Mother Nature by using gas and solar power. If our warm and comfortable lodge is not quite the thing for you, you are welcome to bring your own camping gear and enjoy a real South African bush experience in our great outdoors. 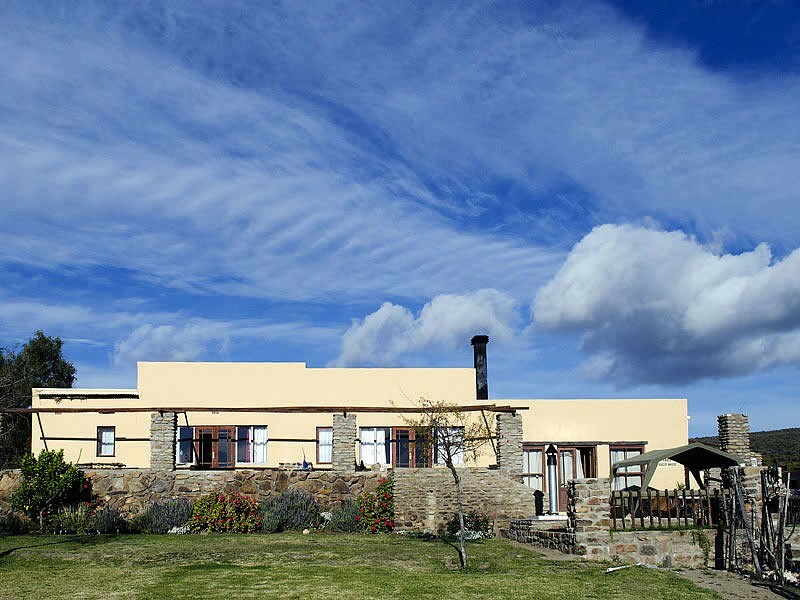 There is no electricity on the camp site so that you can enjoy the most beautiful Karoo night sky, a scullery and ablution facilities is available. Follow the N1 past Worcester, through De Doorns. Turn right on R318 to Montagu. Travel for approximately 26 km and then turn left onto a gravel road to Nougaspoort. There is also a board that reads Leewenbosch. 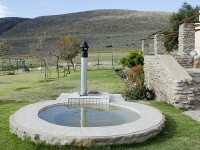 Travel for approximately 18 km on gravel road and then turn right at a T-junction to Montagu via Ouberg (still gravel road). 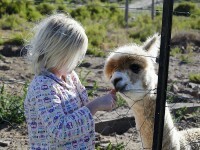 Travel for approximately 19km on gravel road and then turn right into farms Desert Wind / Keurfontein. Travel through farm Keurfontein until the next farm gate which belongs to Desert Wind. Main house is approximately 1 km from this gate. Stay on this road, do not turn off anywhere to your right. At the TALANA/MONTAGU sign board turn left. You will now be driving on gravel road for approximately 40km until you reach the farm.